It might not be snowing outside but festive season is in full swing, or at least in the ad industry. Yuletide madness has already been sparked by John Lewis and Mog the cat. In no particular order, we chart the best of the best. Set to the dulcet tones of the track Cosmic Dancer by T-Rex, Burberry's lavish spot features Sir Elton John, Julie Walters, Romeo Beckham, James Bay, George Ezra, Michelle Dockery, James Corden, Naomi Campbell and Rosie Huntington-Whiteley. It shows Romeo Beckham putting the track on a record player before the stars slowly bounce in and out of shot - presumably on some kind of trampoline - showcasing its wares. The spot also celebrates 15 years of British cinematic classic Billy Elliot. Sainsbury's has unveiled its Christmas ad, which features a CGI version of Mog the cat, the character from the popular children's book series penned by author Judith Kerr. Titled 'Mog’s Christmas Calamity’, the full length 3’30" TV ad, created by AMV BBDO has been adapted from a book written by Kerr, especially for the ad. Sainsbury's describes the ad as a "charming tale" with a sequence of highly improbable and entertaining calamities prompted by Mog, who accidentally wrecks the house of his family the night before Christmas, setting it alight. The spot features the story of the man on the moon and a young girl who spots him through her telescope. She then attempts to send him a Christmas gift using a variety of methods and eventually a balloon lands a gift of a telescope, tapping into John Lewis' message that it is important to let your loved ones know you're thinking of them this festive season. In a tear-jerking touch, the old man, played by a 77 year old actor, makes contact with the girl via his telescope, shedding an emotional tear for good measure. In an inspired move, Aldi parodied the touching John Lewis ad with its own lonely man on the moon, who soon cheers up when he's joined by Jean Jones, who first featured in the discounter's ads in 2011. In a reference to the balloons in John Lewis' ad, Jean manages to land on the Moon in a chair kept afloat by balloons. Aldi also managed to get in a sly price dig, comparing a pricey telescope from John Lewis with its own budget £69.99 version. Waitrose's upbeat Christmas spot features the track 'everybody eats when they come to my house' and shows an array of families preparing festivities. It also features a split second frame of Heston Blumenthal dusting a dessert, showcasing the brand's longstanding partnership with the celebrity chef. Harvey Nichols' Christmas ad this year explains how to avoid the ordeal of having to pretend you like an unwanted gift - or having to put on a grimace they have coined as "gift face". Created by Adam & Eve/DDB, the 60-second spot features a young woman desperately trying to maintain her "gift face" ­– a forced expression of happiness – as she opens a series of presents from her family. The film ends with the tagline "Avoid #GiftFace. Give Harvey Nichols." Tesco developed four shorter spots for its Christmas campaign, a departure from the traditional longer-running spots of previous years. The campaign, which will launch tonight, aims to bring to life the retailer's 'little helps' messaging, showcasing the ways the brand can help customers ease into the festive season. In keeping with its new marketing strategy, the adverts feature Ruth Jones, star of TV hit Stella & Gavin and Stacey, Ben Miller and Will Close as a family. Born Free has enlisted a host of celebrity fans in a social Christmas campaign to raise awareness of the charity and its animal rescue efforts. 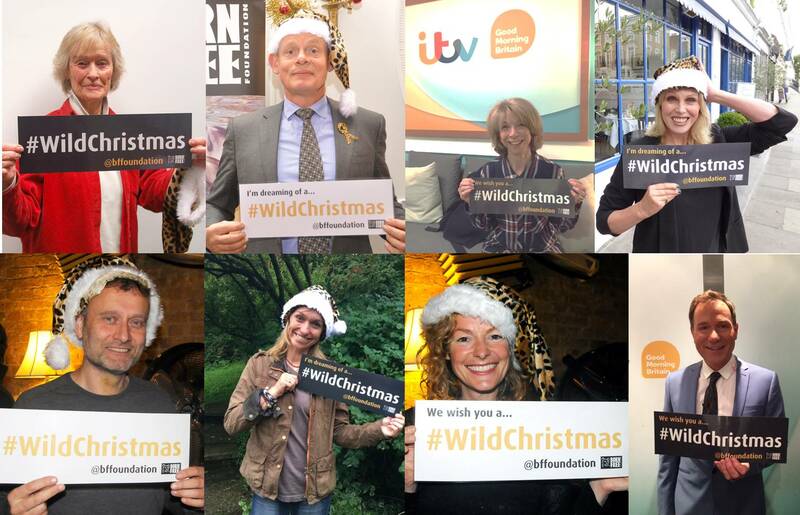 The stars, including Virginia McKenna OBE, Martin Clunes and Joanna Lumley OBE will sport Christmas hats to promote the hashtag #WildChristmas. The campaign will also promote its gift and card range as well as its adoption scheme. Burger King has unveiled some festive wrapping for Christmas, including a 'santa' burger wrapper, 'joyful' takeaway bags and reindeer coffee cups.The new packaging complement's its new 'winter Whopperland' menu range. This spot taps into the magic of Christmas, showcasing Father Christmas, wine, gingerbread houses and a festive feast. Unlike last year's spot with Jools Holland, it is celebrity-free. Argos used a team of 50 professional skiers and snowboarders to create its action-packed Christmas TV ad. The 60-second spot, which was created by CHI & Partners, broke during Channel 4’s Gogglebox on 6 November – the same time as the John Lewis Christmas ad. The upbeat Argos film was shot on a mountainside in Chile’s Valle Navado, known for its 6,000 peaks and vast stretches of treeless, off-piste terrain. Mulberry presents its own spin on the nativity scene - with a handbag playing the role of baby Jesus - in its new Christmas campaign. Adam & Eve/DDB created the humorous online ad, in which a woman receives a handbag as a gift from her partner and is then visited by shepherds and wise men, who wish to pay their respects to the glorious fashion accessory. The spot, by TBWA\London, does not feature the Lidl Surprises strapline and introduces the #SchoolOfChristmas. 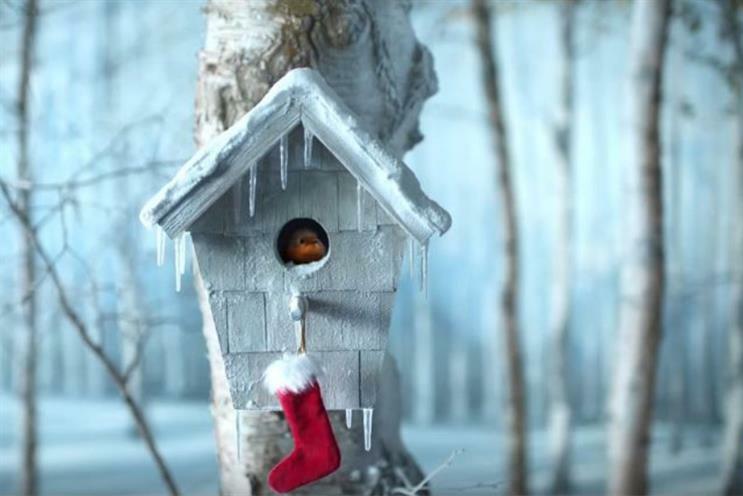 For the first time, Lidl has debuted the campaign on social media in what it says is a "festive gesture of thanks" for the loyalty offered by "Lidlers". The Lidl School of Christmas offers festive tips and ideas including how to light a Christmas pudding and, most importantly, how to pretend to like ill-fitting presents. The ad explains Lidl has ‘Every Lidl Thing for Christmas’. Boots has employed pop singer Jessie J to sing on the soundtrack for this year's Christmas ad campaign, which transports the viewer into a world of style and glamour. The ad is shot through the eyes of a firefly, which sweeps through an array of festive rooms filled with beauty products. The soundtrack is the 50s classic (Everybody’s Waitin’ For) The Man with the Bag, performed by Jessie J, the pop singer and former coach on BBC talent show The Voice. Marks and Spencer has moved away from one longer Christmas ad this year, instead releasing two spots that build on its existing "the art of..." and "adventures in..." formats. The retailer won't be debuting the ads on TV or social first, as per last year, but will instead give the two million members of its Sparks loyalty programme the chance to view the campaign first. The first and primary ad, ‘The Art of Christmas’, is a compilation film showing exaggerated versions of events that take place before Christmas. The soundtrack uses a remix of Mark Ronson’s Uptown Funk. Sky Movies' Christmas ad features a young girl falling into different films as she tries to get rid of her brussels sprouts. The ad shows the girl in a dilemma at the end of her Christmas lunch, disgusted by the sprouts on her plate. Her favourite film is starting on TV but her mum asks her to finish her food before she leaves the table. The girl grabs the sprouts, slips under the table and is transformed to another world where she realises she can get rid of the food. She drops one into a glass of Champagne, and another on a deserts platter at Cinderella’s ball. Debenhams is showcasing gift giving in its new Christmas ad. The campaign features people opening a gift on Christmas day and uses voiceovers by gift-givers Dawn French, Sarah Millican, Jamelia and James Nesbitt. Currys PC World has a secret weapon in the war of the Christmas ads: Jeff Goldblum. The actor appears in the retailer’s £10 million seasonal campaign as a festive acting coach helping those who receive crap gifts. The concept sounds simple enough, but Goldblum makes it memorable by putting in a, frankly, barmy performance. The campaign comprises five TV spots, as well as outdoor, radio and social media activity. Men and women from around the world are shown indulging in a spot of shower karaoke in The Body Shop's new Christmas ad. It shows snippets of people singing Jingle Bells during their bathroom routine. Throughout the ad, audiences hear the Christmas classic sung in six languages – English, Cantonese, Portuguese, Japanese, German and French. The Body Shop also uses the spot to pledge to donate one day’s worth of safe water to a family in Ethiopia, through WaterAid, every time it sells a gift set. After parting ways with Ant and Dec earlier in the year, Morrisons has put its staff in the spotlight in its new and shorter Christmas campaign. The new campaign, "make it magical", comprises three ads, each of which show Morrisons staff, explaining how they source, prepare or make the foods that people love to eat at Christmas. Are emotional Christmas ads turkeys or the chance for brands to show their purpose? Are these the best retro Christmas ads of all time? Man on the Moon vs Monty the Penguin - which is winning on social?